A drugstore brand that I can always count on is Elf Cosmetics. They are constantly bringing out new, affordable, and innovative products. They are on top of trends and usually hit the mark with their new products. While there are a few duds in their extensive collection, the makeup is usually so affordable that it barely matters and when their products are good, they are great. 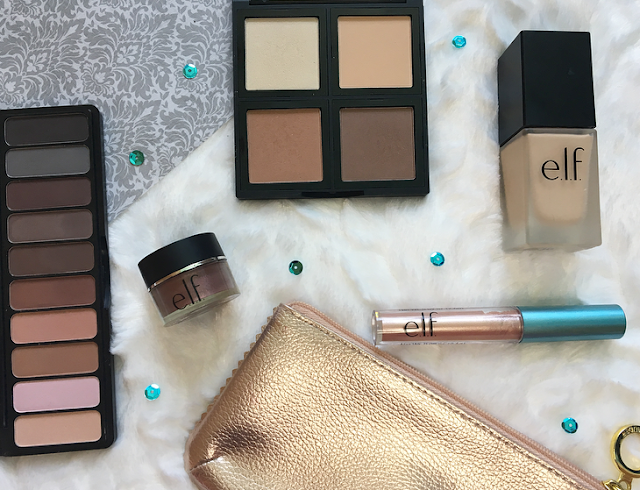 I've tried a big variety from Elf and I've managed to narrow it down to five of my favorite products from them! I bought this on a whim because I like the color and ended up loving the formula as well! Metallic eyeshadows are some of my favorites and I love them all over the lid. This one applies with a doefoot applicator and you have lots of time to blend it out and either build it up to full pigmentation or make it look more subtle. I really need to get the other shades! Jessica Braun, a YouTuber I really respect, had been recommending this foundation for ages and after I went cruelty-free I was out of good drugstore foundation options. I decided to give this a go and now it has surpassed my former favorite Rimmel one! It has a lot of coverage but doesn't look cakey at all. The finish is more satin than glowy, but it doesn't emphasize dry patches. I can't believe that this is only $6. The packaging is great for the price as well. It even includes a pump! The shade range is unfortunately limited, but if you can find a close match I definitely recommend getting it. A friend of mine let me use her Elf Contour palette and I loved the contour shade in it, it was darker than most of the ones I own. I bought my own and have been using it pretty often. I sometimes dip into the other shades, but mostly I use the dark, cool-toned contour shade. The palette is worth the money just for that shade! If you have a darker skin tone this one probably won't work well for you, but for light and medium shades this is a great affordable option. I was looking for an all-matte palette to go along with my Morphe 35OS and this one, which includes all-neutral shades, is perfect. 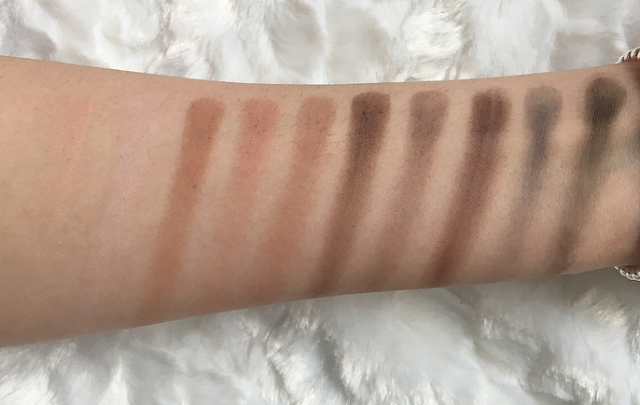 The shadows are super smooth and easy to blend, performing better than any other drugstore palette I've tried. I haven't tried the other Mad for Matte palette from Elf but I've heard that the quality is even better! I just bought this but I've already made a good dent in it. If you like the Maybelline Color Tattoos, MAC Paint Pots, or other cream shadows you might want to check these out! Wine Not is a gorgeous taupey purple that is great for autumn and winter. I haven't seen their other shades, but I definitely want to check them out. What are your favorite Elf products? 17 comments on "The Best From Elf"
I love that foundation in the winter and the matte palette is on my wishlist. I've wanted to try some of these for a long time but never knew if they were worth it, might pick them up next time I'm in Superdrug! I never tried anything from ELF before, but as soon as I find a good website that sells their products I want all of the 10 pans eyeshadow palettes! I want to try the smudge pot so much! That contour palette looks perfect! I haven't used ELF in years but I used to love their products! This very useful review thanks for sharing this one. This is the first review I read about elf molten eyeshadow! I'll pick it up soon! I used to buy ELF products from i-herb but they don't have the new releases which is too bad since I would love to try some new products. I have the contour palette and i love it! I am loving the elf palettes, especially their bronzer palette and highlighter palette! I've noticed a bunch of new brushes from them on Iherb and I definitely plan to pick them up!